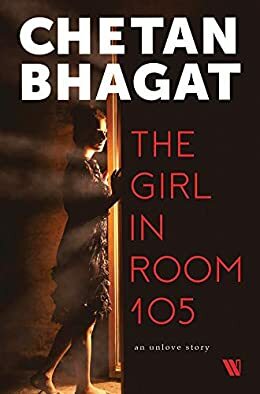 The Girl in Room 105 by Chetan Bhagat is his latest novel which was released in 2018. And, just all his books, this one also became an instant bestseller in the market. Chetan opted for quieter launch this time and instead of doing a proper launch event, the bestselling author released The Girl in Room 105 with a Bollywood-styled book trailer. Despite all the promotion, readers have shown mixed reactions for the book. Thus, we thought to give it a read and here’s our unbiased review of The Girl in Room 105 by Chetan Bhagat. The Girl in Room 105 by Chetan Bhagat is a crime thriller on a romantic backdrop with twists and turns until the last phase. A promising entertainer presented in a facile writing style from Chetan Bhagat. Keshav, the main protagonist of The Girl in Room 105, is currently working in JEE coaching center is an IIT alumnus and like every other hero from a Chetan Bhagat novel Keshav is in his unhappy phase of life right from his job, conservative family background and most importantly his breakup. He tries to get placed in a more unswerving job but in vain. His love story with his colleague Zara, the second lead of The Girl in Room 105 book, ends painfully due to religious differences between the two families. Zara, as the name suggests, is a Muslim and is currently amidst her Ph.D.
Keshav still is in love with Zara and tries to rekindle the love with her but seems to be caught in a love triangle where Zara’s interests adamantly lie on Raghav who is more accomplished than Keshav. Keshav’s only backing is his friend Saurabh who is also his colleague and guides the wavering Keshav time and again back to track and persuades him from forgetting Zara. On Zara’s birthday, a smashed Keshav is invited by Zara to come and meet her in her room and this is where we know the link to the obvious title, that Zara is the girl in the room 105. Keshav wastes no time and along with Saurab enters the ladies hostel by deceiving the security and climbing an adjoining tree to Zara’s room. In the dark room, he ultimately discovers a dead Zara and is left shocked, confused and livid all at the same time to find the love of his life, lying lifeless on her birthday. This is where our Keshav decides to find the killer and for us, this is where the main plot of the book The Girl in Room 105 unfolds. In his expedition towards the killer, Keshav maps his suspects in sequence and rules out one by one. With the clues from CCTV to eyewitness failing to answer, Keshav doubts a parallel story to murder and so he is determined to venture the trail in length. He travels along with the lines of the police investigation. Surprisingly all the suspects he deals with all give an inviting clue to be linked with the murder only to be ruled out with the deeper investigation. Right from Zara’s Ph.D. professor who has a personal interest on her and tries to persuade her forcefully to Zara’s brother who is a part of a terrorist group in Kashmir, all the suspects slip out one by one with a clear detachment from Zara’s murder. Zara’s parents help Keshav through the process, however, what further shocks Keshav in the search is that Zara is a completely different person from what he had known her and secondly the death of Zara’s brother Sikander who kills himself in the fear of exposing his terrorist group while being suspected for the murder. With the next suspect being romantically linked with Zara, Keshav is convinced of him being the killer with sufficient reasoning forwarding this suspect. Keshav calls for declaring the killer and here is exactly where the author punches all of us with another unforeseen twist in what we think is fag end of this story. Thank you. For showing me what love is all about. And thank you for also teaching me to never love someone too much. Stays an entertainer throughout with sufficient uncertainty required for a thriller genre. The storyline though seems similar to other Chetan Bhagat’s self-narrative novels, in the beginning, is quick to take a diversion and gain a totally different pace and direction. An extremely pleasing quick read just like every other Chetan Bhagat novel in his own modest writing style. If you think you would love reading this, Buy this book on Amazon. A crime thriller on a romantic backdrop with twists and turns until the last phase. A promising entertainer presented in a facile writing style from Chetan Bhagat. Check out our review of One Indian Girl, Chetan Bhagat’s previous book, which was one of the bestsellers of 2016. Have you read The Girl in Room 105 by Chetan Bhagat? Share your reviews in the comments section below! 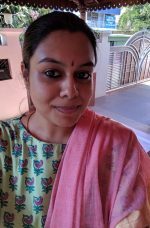 Reading enthusiast, working from home mom, passionate Toastmaster who loves to interact and deliver speeches, highly opinionated on politics and social issues and when not into any of these bakes cakes at home for family.